Recently I put on the radio as I readied my lunch. It was tuned, as usual, to WAMU, the local NPR station. I heard Jessica Piscitelli introduced as a commentary writer from Northern Virginia. My ears perked up when I heard the title, Real Natural. Oh yes, Jessica's commentary was on target and real true. It's reprinted here with permission. Thank you Jessica! Buyer beware. Real is the new natural. Americans love to be healthy. Or, more accurately, we love our health products. Setting off on a vacation? Simply packing for a business trip? Or celebrating a long weekend? Whatever, wherever, try to travel FRUIT-FULL-Y. Today you've got immediate access to the latest research studies on diabetes. Beyond the research you’ll find guidance and guidelines for how to take care of your diabetes and stay healthy. But with this plethora of information at your fingertips how do you know which websites to trust and those to cast aside. 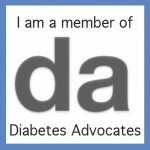 These top eleven diabetes-focused websites link you to diabetes associations and organizations, government-sponsored sources and a few other well known, trusted and dependable resources. Nearly a decade worth of studies, with another one just published (online first), June 3, 2010, have explored the effectiveness of using one or a combination of two blood-glucose (BG) lowering medications (approved for type 2 diabetes) to prevent and/or delay the onset of type 2 diabetes in people with prediabetes or at high risk of type 2. These studies have used Actos (pioglitazone), Avandia (rosiglitazone), metformin, and others. Listening to the Let’s Move press conference to release the first task force report, reinforced my observations that we’re moving full steam ahead to deal with and prevent childhood and adult overweight/obesity. Efforts are from the top down and the ground up.